This former Chinatown Opium den prescribes over 250 different cocktails. If you’re really in the mood, order a “Pain Killer” or the “Euphoric Enhancer.” Make sure you follow them on their twitter account, that way you know the secret password to get into the barely noticeable entrance. This speakeasy is assessed through a vintage phone booth in an East village hotdog joint. Talk about cool entrances! Call ahead to make reservations. Ring the doorbell at the black door at the bottom of the subterranean stairs and someone will come get you. This speakeasy is named after the 1897 New York law prohibiting the sale of alcohol on Sundays except for in hotels. Order a “Mamie Taylor” and get your drink brought to you in your train-like seat after a tug of the pull-chain. Try the “Evidence” for a warm buzz. Don’t be confused when you walk through a Japanese bar to go up the stairs to get to this bar. Also, don’t show up with more than four people; you will get denied at the door. While you sip on your concoction enjoy the musical act that comes along with it. This bar really brings back the era of Jazz with the red velvet, mirrors, and smoke. 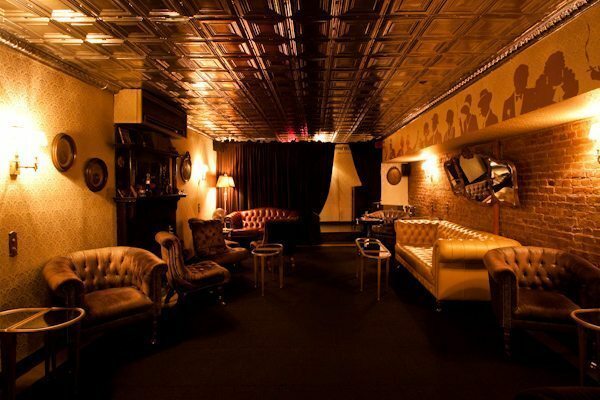 There you have it, the best speakeasies in NYC! Which speakeasy will you go to first?